Dr. Olender is board certified in Obstetrics and Gynecology. 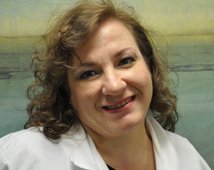 In practice for 8 years, Dr. Olender is a partner among Womens Health Specialists since 2006. She completed her medical training at St. George’s University School of Medicine and subsequently completed her internship and residency at Albert Einstein Medical Center, which is considered one of the nation’s top training programs. Dr. Olender’s particular interests lie in management of High Risk pregnancies and minimally invasive surgical procedures as well as menopausal care. Dr. Olender was born and raised in Tashkent, Uzbekstan which was part of the former Soviet Union. Having attended Healthcare delivery systems in different parts of the world, Dr. Olender is very sensitive to various cultural aspects of women’s care. She is fluent in English and Russian. In her spare time (when she is able to find it), Dr. Olender enjoys spending time with her family and close friends. She loves a good theater play and travels as much as her patients will allow her. She is also thinking of getting a dog (advice is welcome).